When the rental market couldn’t deliver permafrost thawing equipment, Veflen decided to get ahold of the right equipment himself. “The frost is deep in the ground, but with equipment from HeatWork, we have a safe and predictable winter ahead of us. We don’t just have deadlines to meet, but also a commitment to delivering quality and taking care of our employees,” says Hans Otto Veflen from their main office at Skarnes. With several years of history in the branch, the family business specializes in fiber ditches, electricity ditches, VA, and remote heating facilities. Especially in the Eastern part of the country. 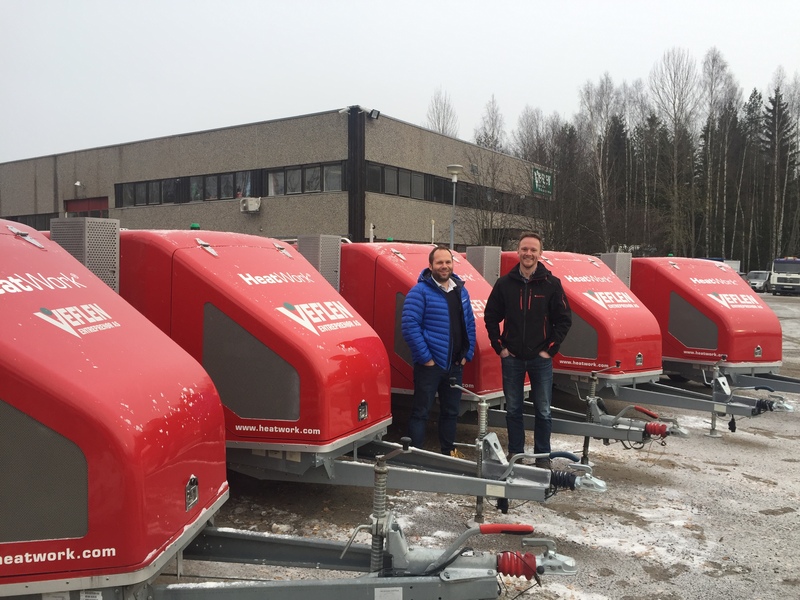 “Before, there was no other option, but now full operations through the winter have become a necessity in the branch,” says Veflen. The company is focused on operating as environmentally friendly as possible. In January they received the “Miljøfyrtårn” certification. “It is economical to think about the environment. That’s why we have gone all-in with regards to environmentally friendly permafrost thawing solutions from HeatWork. “We’ve experienced what was out there, so the choice of HeatWork was easy. It all comes down to effectiveness, weight, and quality,” says Veflen. 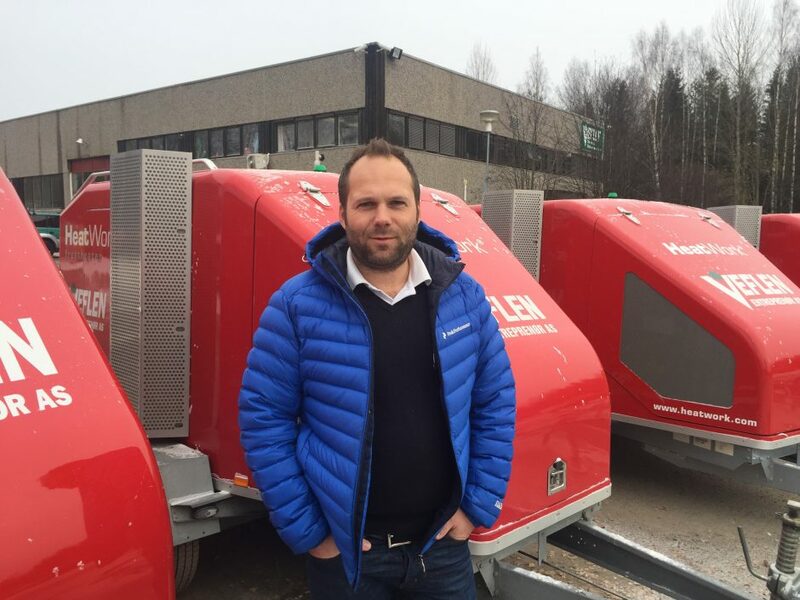 Sales manager Tommy Larsen at HeatWork can say that rental companies at times encounter difficulties when trying to cover the market’s demand for thawing and heating equipment. Our message is that investment in HeatWork is good winter insurance. But also that those who choose to rent should be aware of the differences in equipment available on the market. 100°C machines and double thawing effect – that is something that HeatWork alone can provide.